A member of Iran’s parliament says the country’s foreign policy has “a lot of unneeded costs” and these can “leave us paralyzed on the streets of Tehran”. Jalil Rahimi Jahanabadi on Sunday in an unprecedented speech before the start of parliament’s official agenda said, “Unneeded costs, which are not a priority should be removed” and mentioned the example of the former Soviet Union, which despite its nuclear warheads and influence around the world eventually disintegrated. Such words, uttered in parliament are extremely interesting, but it is hard to judge how the MP took the liberty to contradict the country’s foreign policy, set by the Supreme Leader Ayatollah Ali Khamenei. Mr. Rahimi Jahanabadi is a reformist politician and the leader of the Sunni parliamentarians. He has an academic background and was in charge of presidential documents more than a decade ago. According to ISNA, Rahimi Jahanabadi added, “Although our influence in the region is important, but one point should not be forgotten, and that is, sometimes it is possible that unneeded costs can cripple us on Tehran streets”. 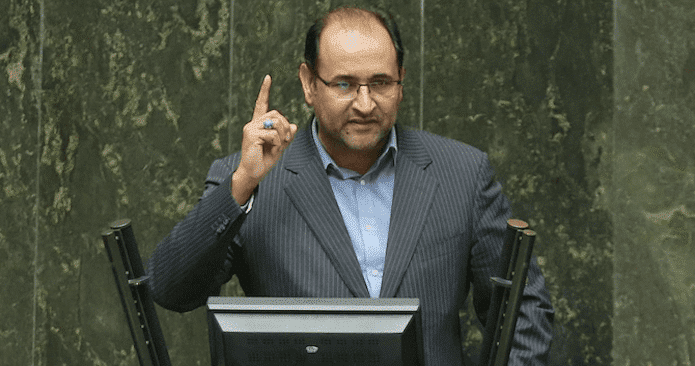 In another part of his speech Rahimi Jahanabadi brought up the issue of economic hardship for ordinary Iranians. “Today, people have difficulty to make a living and feed their children. If we fail to resolve the problem of unnecessary domestic and foreign expenditures, we will bear heavy costs”, he said and added, “What we need at home we should take care of it…We need to find friends, reduce tensions and increase cooperation in the region and focus on the economy as our top priority…”. Khamenei’s opponents and critics have in recent years singled out his anti-Western and interventionist policies in the region as the main reasons for Iran’s isolation and economic problems. But open criticism in parliament, directed at the core of the Supreme Leader’s foreign policy, is unprecedented; even though his name was not mentioned and the criticism was voiced in careful and diplomatic manner. Previous ArticleWhere did all the Jews from the Arab world go? 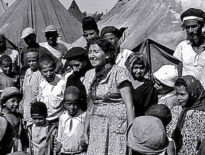 Headlines	Where did all the Jews from the Arab world go?